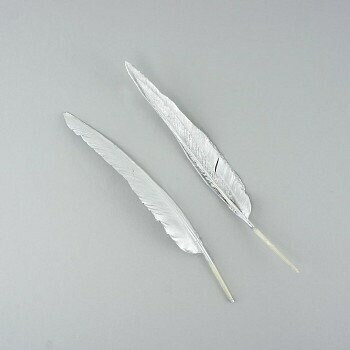 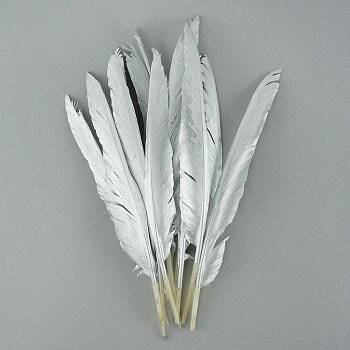 These Goose Pointer Feathers have been gilded silver paint. 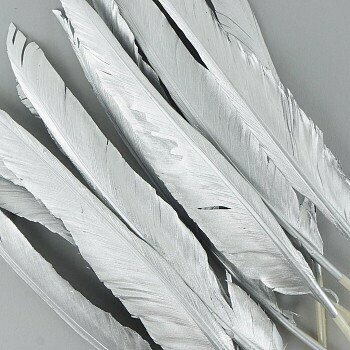 They are approximately 9-12 inches long and have a stiff quill. 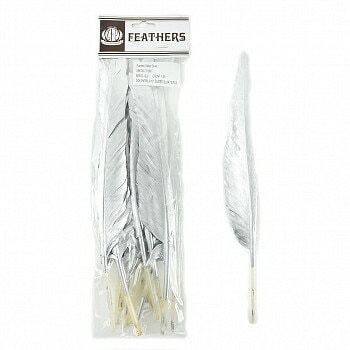 There are 12 loose feathers per package.